Fun and easy way to make homemade ice cream! The fun and easy way to make homemade ice cream! Add cream, sugar, and ice to 20 minutes of fun, and you have the recipe for one pint of ice cream! Simply load ice and rock salt in one end, and ice cream ingredients in the other end. 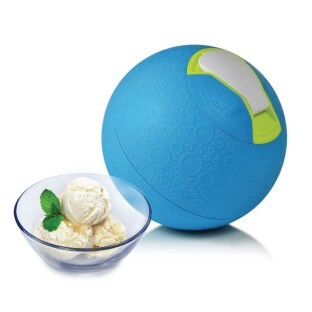 This lightweight, portable and easy-to-clean ice cream ball will be an instant hit. The taste of ice cream can make any day a summer day. 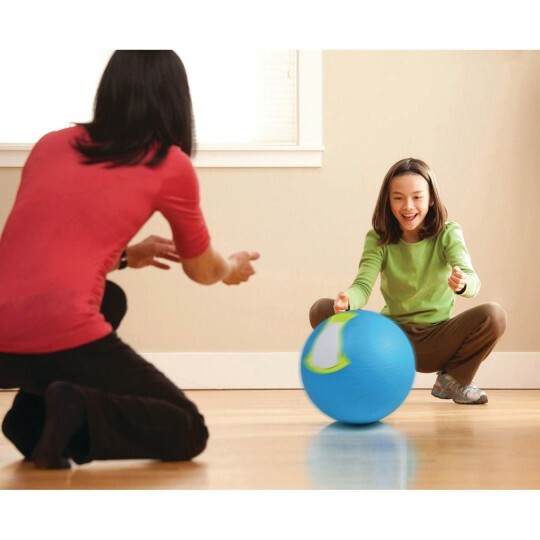 New SoftShell cover makes it even easier to play with the ball, rolling it around for 20 minutes and, voila, you’ve made a pint of delicious ice cream (recipes included!). Includes: ice cream maker, instructions, and recipe booklet. Also try our gourmet flavor pack (16484) for even more refreshing fun! Assembled dimensions 8” x 8” x 8”.